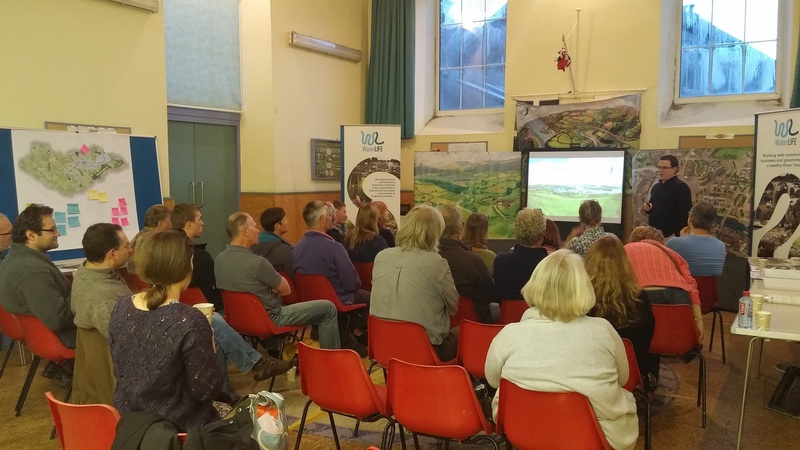 On the 30th November we held a community catchment workshop in Millbrook to discuss the environmental issues and opportunities in the village. Millbrook has a rich and eclectic environmental history. Sat on the edge of the estuary, the village has long been prone to flooding and we’ve listened as villagers recounted memories of rowing up and down the high street each time high tides and pressure systems combined to push tidal surges up into its centre. Flooding was an event that occurred as often as four or five times a year during the childhoods of many of the residents. 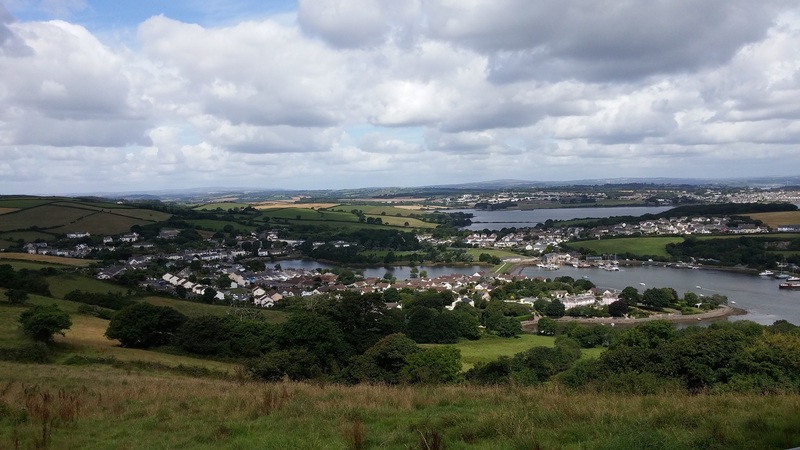 However, following severe flooding in the seventies, a tidal barrage was constructed across the estuary, significantly reducing the risk of tidal flooding. 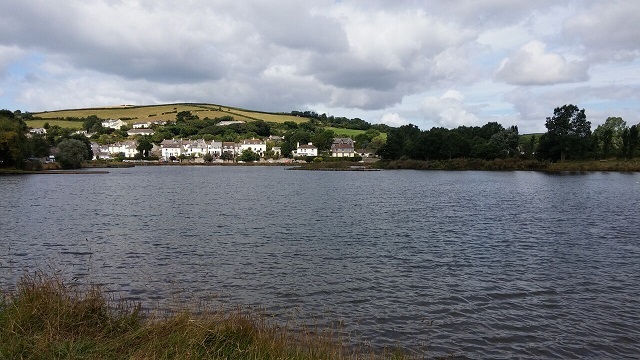 It was in this process that the Millbrook Lake was formed on the inland side of the tidal barrage – a lake which is a well-loved feature within the Millbrook community. 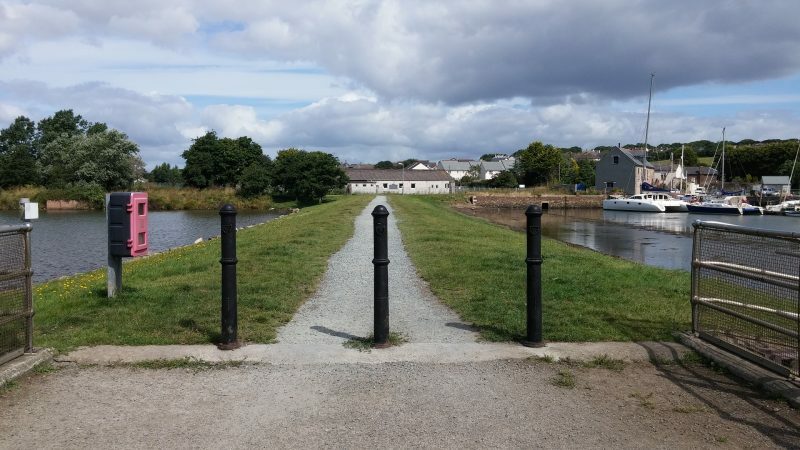 The tidal wall has played a huge role in protecting the Millbrook residents from flooding. The Environment Agency estimate that over 100 floods have been prevented by the wall, which is of little surprise to those who remember the frequent flooding of the past. 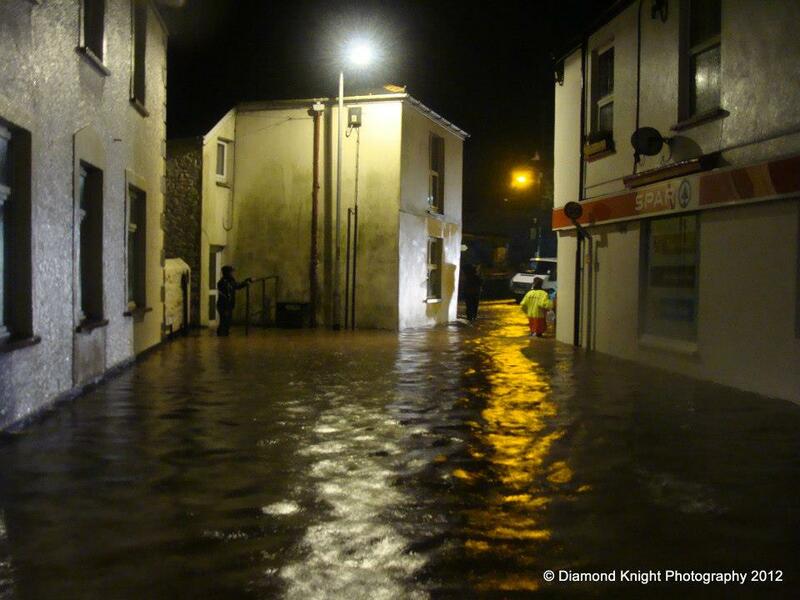 Why had so much floodwater accumulated in the village centre? Where had it come from? What had prevented it from draining away? So why did Millbrook flood? 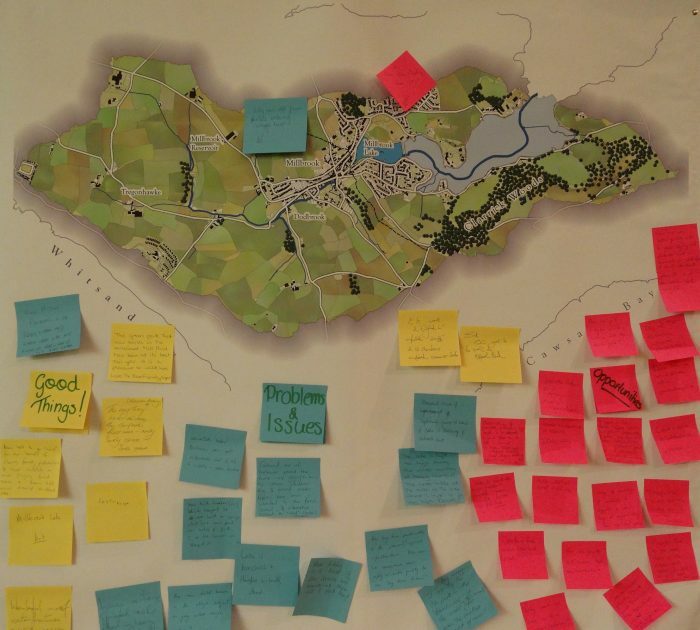 We helped the villagers of Millbrook to unpick some of the events and causes that had led to their homes being flooded in 2012. With the help of the Environment Agency and the villagers themselves, we began to understand the complexity of the flooding in Millbrook. preceded the flooding and which had flowed through the catchment via rivers and overland flow before building up in the village centre. Understanding why the water had backed up within the village was far less certain and much of the attention had been focussed on Millbrook Lake. Had the flood gate been opened, could the water have flowed freely from the village into the lake and out into the estuary? The answer to this question is not entirely straight forward, as there are a range of factors that contributed to the flooding in 2012. These can broadly be put into two main categories; 1. problems related to infrastructure, which included a blocked culvert under the village and the movement of water into and out of the lake, and 2. too much water running too quickly off the surrounding land into the village. More specifically, we learnt that the flooding had largely been caused by the large volume of water that was running down the hill to the south of the village, which had exceeded the capacity of the culvert designed to channel the water under the village and into the lake. This water had arrived rapidly in the village where a build-up of debris was slowing the flow of water into the culvert system, leading to the dramatic over-topping of water into the village centre where it accumulated. In the aftermath of the 2012 flooding, the Environment Agency has carried out extensive research into why Millbrook flooded and, as a result, the infrastructure within the village has been improved to reduce the risk of debris blocking the culverts. A new flood wall has also been built in the village to redirect water away from houses and into the culvert and there are plans to increase the size of the culvert on the hill to the south of the village. 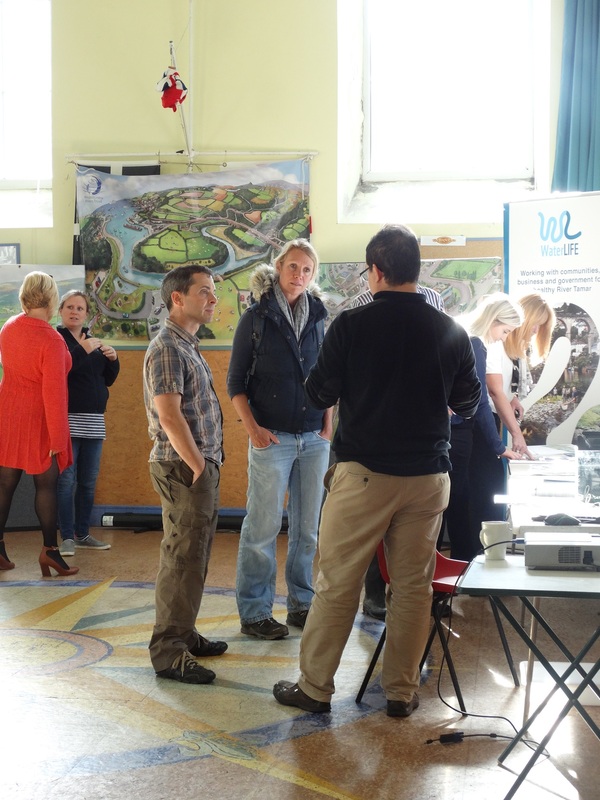 We held a drop-in session in Millbrook on the 30th September, during which the Millbrook community discussed their knowledge of the flooding issue, as well as wider environmental issues in the area, and how they saw the Millbrook catchment being managed in the future. The day culminated with a presentation and workshop in the evening, with over 60 people attending throughout the course of the day. We were overwhelmed by the community spirit shown by the Millbrook residents, their engagement in their local environment and willingness to continue to build on the wealth of natural resources on their doorstep. Over the course of the day, it was clear that flooding remains a major concern to those living in Millbrook. While the Environment Agency is making great improvements to the flood mitigation efforts within the village, we are also keen to address the root causes of why water moves so rapidly through the Millbrook catchment and to try and slow this flow. 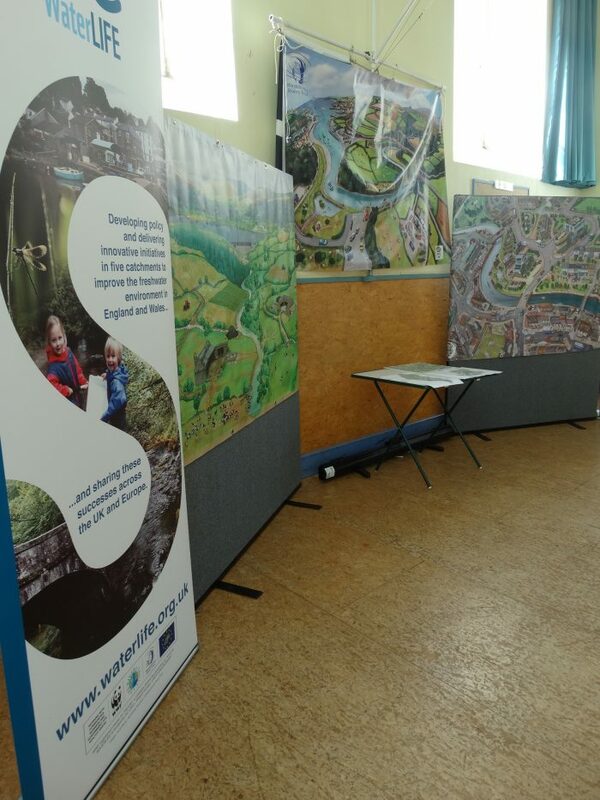 There are also huge opportunities in the village for natural flood management and sustainable drainage systems (SuDS), which the community was keen to explore further. We are also keen to work with the Millbrook villagers to tackle some of the other concerns that they have about their local environment. How should the Millbrook Lake be managed (as a freshwater or a saltwater environment)? How can we reduce sediment loads and improve water quality in Millbrook streams? How can we make the most of the amenities within the village? Millbrook is a stunning place to live and we are looking forward to continuing to work with the local community to make the most of the opportunities available to them and ensure that the environmental issues faced by the village do not overshadow the many wonderful things about living in Millbrook. Contact us at [email protected]wrt.org.uk for more info.